DOCTORS say they are close to creating a 'super vaccine' to combat the flu, as an Australian victim revealed the horror she faced as she came close to death, while others lost their loved ones. 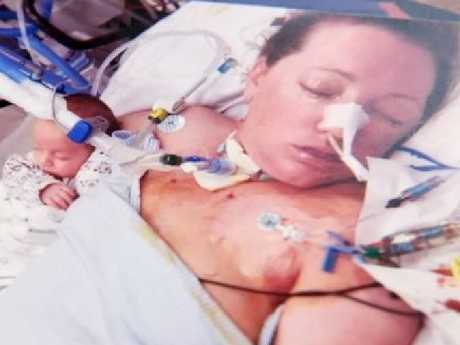 Australian woman recalled the moment her unborn child was delivered while she was on her death bed after getting the flu. Victorian mother, Sarah Hawthorn from Cobram, was eight months pregnant with her first child when she caught last year's deadly strain of influenza. After being placed in an induced coma for three months in intensive care at Melbourne's The Alfred Hospital, she finally woke up. Doctors were forced to deliver her baby boy Axel six weeks prematurely. Her husband Rob was preparing for her funeral. She had a sore throat to start, but never thought it'd take her to a near-death experience. "It nearly killed me and it has killed other people," she said. "It's not something where you just go 'Ah it's the flu it won't kill me'." "It needs to be taken seriously." Sarah described feeling cold symptoms, but then she "couldn't breathe". Rob said he had already said "goodbye" to her, as he recalled how the medical incident unfolded. She had to learn to walk, talk and move again after being on a lifesaving machine called an ECMO to keep her heart and lungs working. 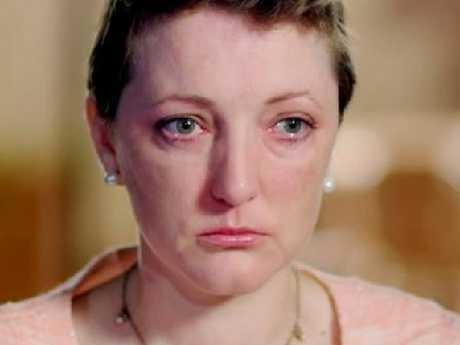 Sarah's story came as Madeline Jones' parents told Karl Stefanovic of their grief after losing their teenage daughter. 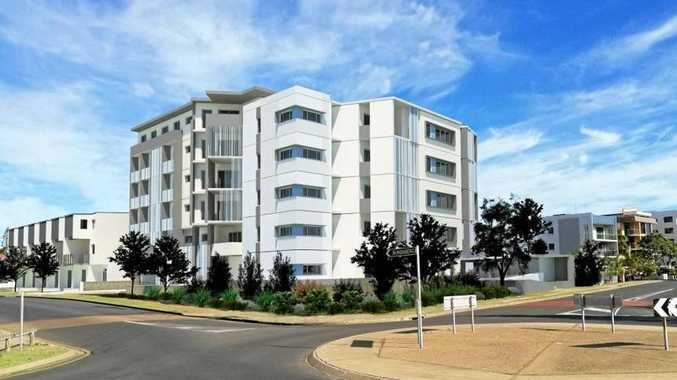 The young law student died on holiday just days after contracting a deadly flu. 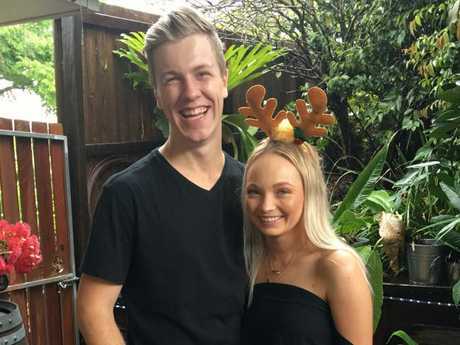 Madeline, 18, known as Maddy, started showing mild flu symptoms while she was with her boyfriend, Callum Royle, at Caloundra in Queensland, in October. Stefanovic became teary and emotional, unable to hold back tears as he listened to Damian and Danielle talk about their loss. "She just said she felt a bit off-colour and then all of a sudden they're telling me that she might not survive,' Mr Jones said. "We just told her we loved her and she was going to be okay. Madeline fell into a coma five days after she had flu symptoms. She later died before her 19th birthday. Doctors said influenza along with a bacterial infection resulted in sepsis. She was a talented tennis player who coached children. She was studying law and business at QUT. 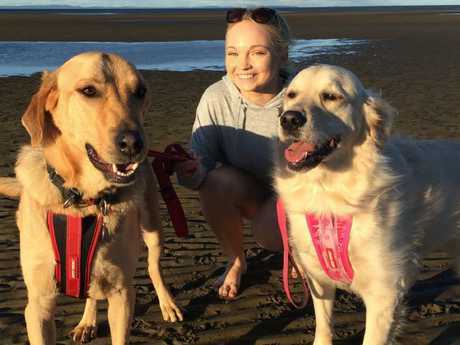 She loved animals and was planning a future with her high school sweetheart. 60 Minutes also spoke to the parents of eight-year-old Rosie Andersen, Australia's youngest Australian victim of the killer flu technically known as H3N2. On doctor's orders, Rosie's parents Christian and Kylie kept her home from school. But there virus had savaged her immune system and she'd developed pneumonia. Her father told of how he found her "non-responsive" before he rang for help. He then saw blood coming out of her mouth and later, she was gone. Rosie, Sarah and Maddy a common link. They hadn't had their flu vaccine when they contracted the flu. While Sarah and Rob told 60 Minutes they support the need to get the flu shot, Dr Anthony Fauci told Stefanovic that the creation of a 90 per cent effective influenza jab which will protect someone for up to 10 years is a near reality.